The inlet filter, (strainer) uses a proportion of the pump’s output to supply a feed to the internal backwashing rotor. The twin jets of the cleaning rotor rotate at about 60 rpm, cleaning the whole screen every ½ second. Approximately 20 – 25% of the pump output is required to supply the cleaning rotor. 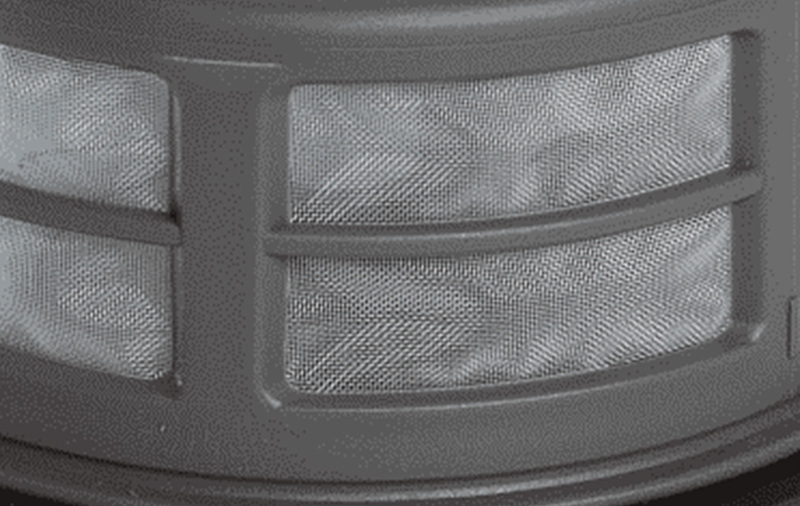 For a larger capacity (up to 60 litres per minute) these filters can be combined to form a double headed duplex version that uses the same technology and filter cages, giving twice the flow rate.